Ts10th Class Time Table,Hall Tickets March 2019. 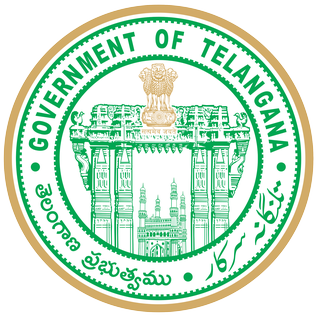 Telangana 10th Class Public Exams Hall Tickets March 2019 are Released. How to Download the Telangana SSC Hall Tickets 2019? Find for TS 10th class hall tickets/ admit cards link. Then Hall Tickets appeared for particular exams. Download the admit cards and save it for future use. 1. Candidate should note the examination dates against the paper I and II of the subjects appearing. 3. Candidate should verify the particulars printed in the hall ticket and bring to the notice of the forwarding school Head master and the Chief Superintendent of the centre, mistakes if any well in advance. 5. Candidate who resorts to any kind of malpractice during the examination will not be permitted to write subsequent papers as per G.O.Rt.No. 872 Edn/Exam Dept, dated: 16-05-1992. 7. Wherever the photo is not printed /manually written hall ticket is received, the H.M. has to affix photo of the candidate under his or her attestation duly affixing the school stamp. 8. IMPORTANT: “OMR Bar Coding” is extended for all papers – SSC, OSSC and Vocational SSC. Before the commencement of examination candidate will be supplied Main Answer booklet having 4 pages and printed Bar Coded OMR Sheet having details of Candidate and that day’s examination. The candidate must verify the particulars printed on OMR sheet with his/her particulars such as Roll Number etc., and Staple it, if it belongs to him/her to the main answer book as indicated. In case of discrepancy, he/she should bring it to the notice of the Invigilator and obtain correct OMR Sheet. Then he/she should start answering. Please don’t write Roll Number on any page of Main Answer book, Additional answer book, Map, Graph Sheet and Bit Paper. He/she should write main answer booklet serial number on Graph sheet, map and Bit Paper. 9. All candidates must appear for exam at the centre allotted only, otherwise their performance will be cancelled outright. So Above We Have Provided TS 10th Class Time Table,Hall Tickets March 2019 For Telangana State. So Students Who Are Studying In Any Telangana State Can Now Check & Download TS 10th Class Time Table March 2019 Official Notification. So, Above You Can Get Complete Info RegardingTS 10th Class Time Table March 2019 . You Can Simply Bookmark This Page As Well In Order To Check All Info Regarding TS 10th Class Time Table March 2019 In The Future As Well. So Do Book Mark Our INJNTU.COM Page & Install Our Android App To Get All Notifications About Updates & Results Directly On Your Mobile Phone. Don’t Forget To Share This Info Regarding TS 10th Class Time Table,Hall Tickets March 2019. Among All Your Friends & Colleagues. Make Them Check Their Info RegardingTS 10th Class Time Table March 2019 Also Share This Info On Your Social Media Pages.